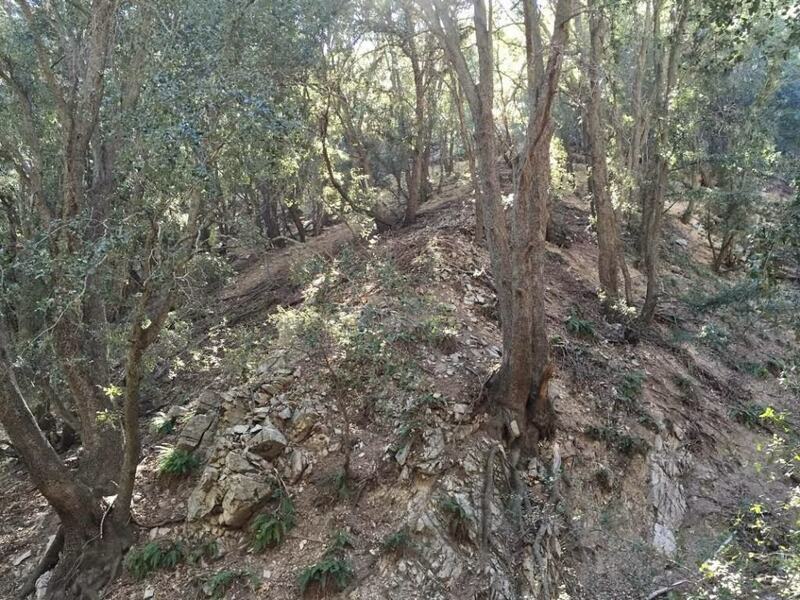 Saddleback Mountain is the Grand Daddy among Orange County hiking trails! This incredible hiking trail ranks on the top of several hiking bucket lists! Yes, Saddleback is a big one to cross off the list and a premier accomplishment to add to your adventure folklore. 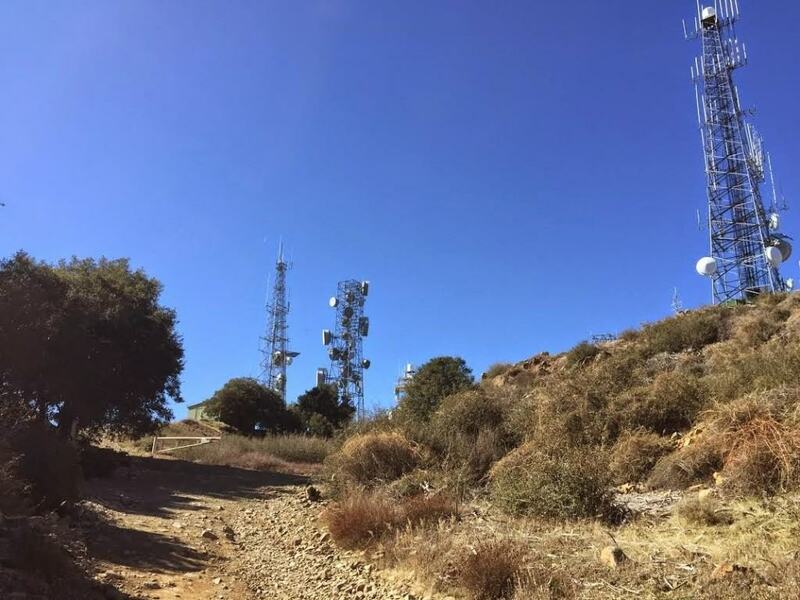 Although a milestone, Saddleback Mountain (the tallest in the Santa Ana Mountain range) is not for the faint of heart or inexperienced. This 18-mile round-trip adventure involves scaling up the 5,689 feet mountain (3,947 in gained hiking elevation). 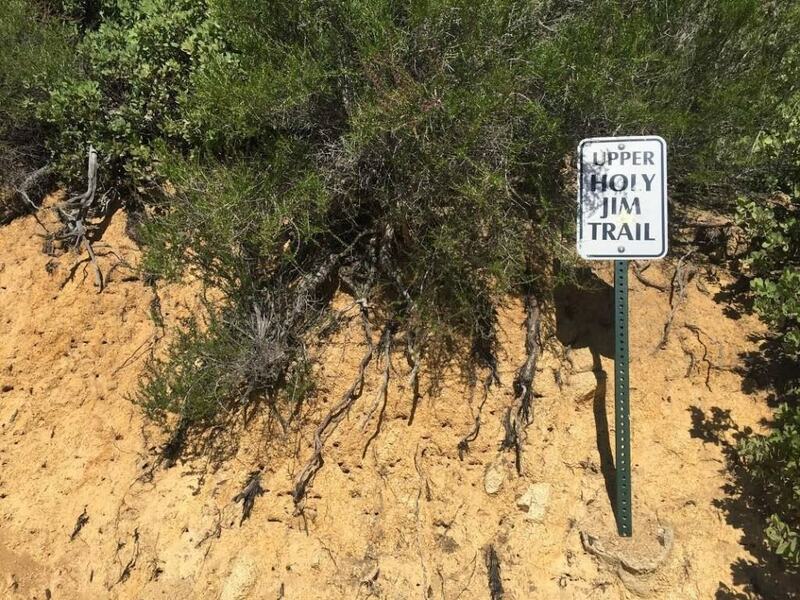 Before you think about attempting this hike, it’s best to make sure you are in good physical condition and have some hiking experience underneath your belt. 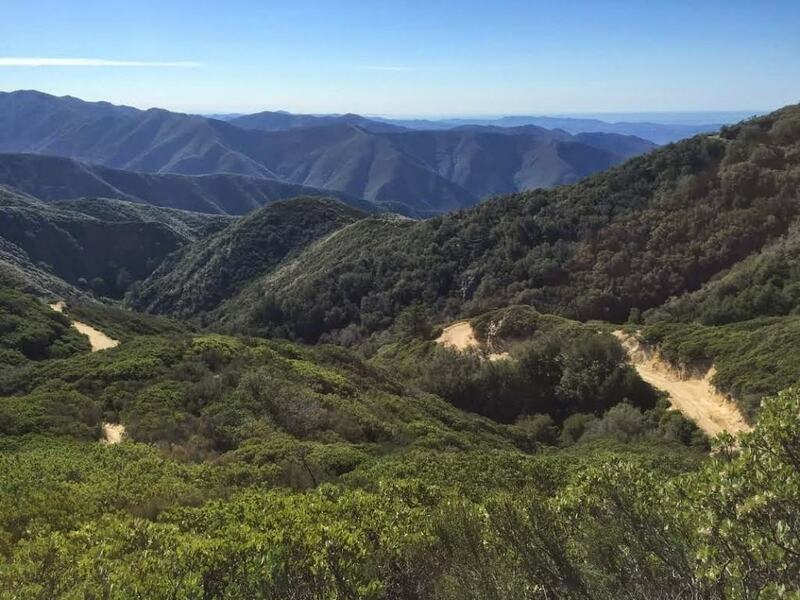 If you are looking for a few good hikes to try before you scale up to Saddleback, the Go Hike It teams recommends Sitton Peak or Los Pinos Peak hikes. 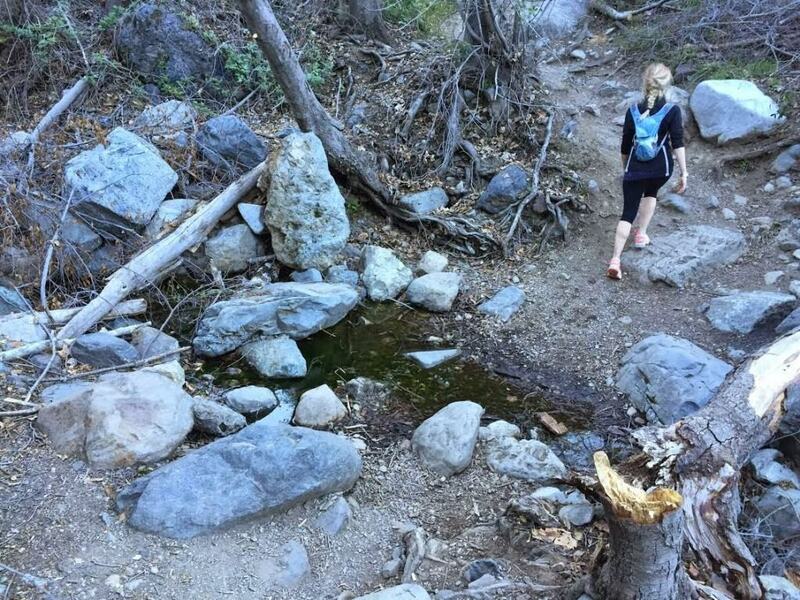 As you plan for your hike, it’s important to bring enough water and food as there are no water stations along the Saddleback trail. It’s recommended to bring a large camel back that carries at least 3 liters of water (per person), lunch (for the summit), high-protein trail snacks (almonds, cashews, and other nuts), a few pieces of fruit, and even a soda (to help replenish lost salts & sugars) for the summit. For extra precaution, pack a first aid kit, sunscreen, cell phone, and bring a few extra bottles of water. 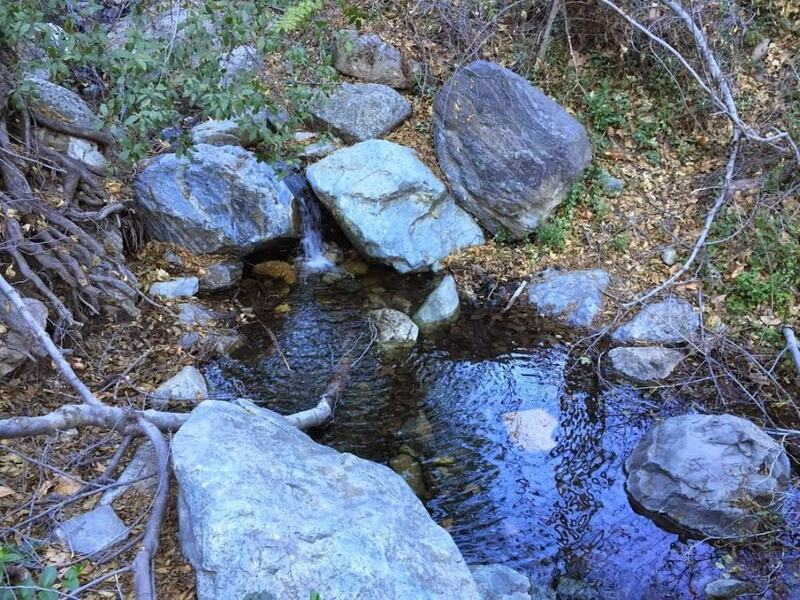 The first section of the Saddleback hike involves crisscrossing a river trail that leads to Holy Jim Falls. The Holy Jim trail is well marked and passes by a few older cabins. After crossing a bridge, the trail transcends up a canyon area. Shortly before the Holy Jim Falls, there is a turn off for a dirt trail. This turn will be on your left, which will start to take you up the hill. This switch-back trail is the second part of the hike and continues for 4-5 miles. Near the end of the switch back trail, the trail continues underneath dense tree overgrowth. This well-protected area provides good protection from the heat. Right after a moderate climb up a short hill, the trail intersects with the Main Divide Road. If you go left, the Main Divide Road will take you to the summit. 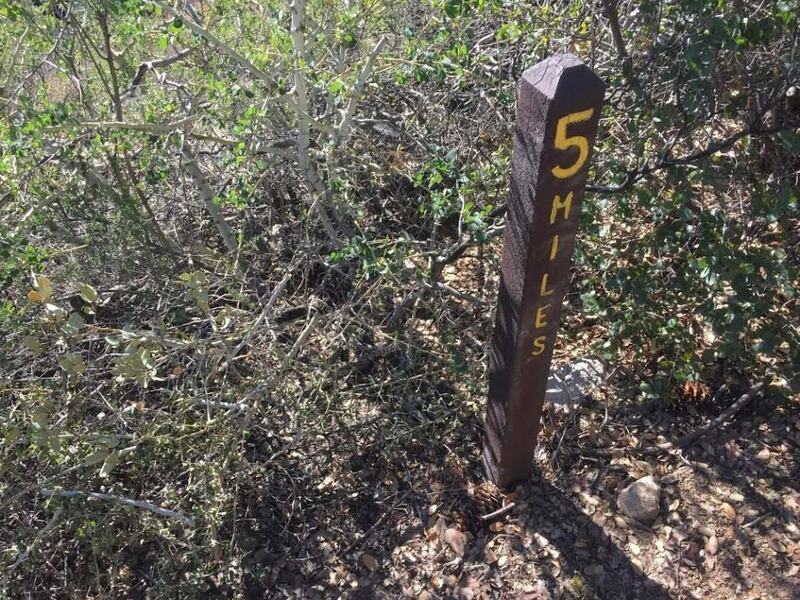 This trail is rather wide and provides scenic, beautiful views of Orange County. If you make a right, you will intersect with the Upper Holy Jim trail (pay attention for the sign on the left hand side). 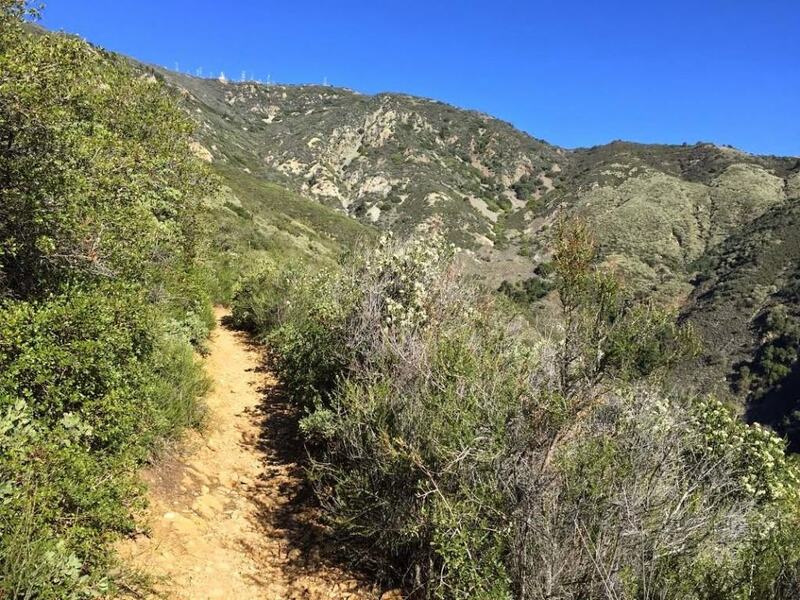 This trail section features views of Ortega Canyon, Riverside County, and Lake Elsinore. The Go Hike It team went up Upper Holy Jim trail and returned down the Main Divide Road (which we strongly recommend). After you hike the third section, both options intersect with the Main Divide Road and continue up to the summit. This last section can seem long, as at this point you have been hiking for hours. However, with each turn, it brings around the hope of reaching the summit. When do reach the summit, give your hiking partner a high five! You made it! Enjoy the beautiful views of the top and relish the moment! 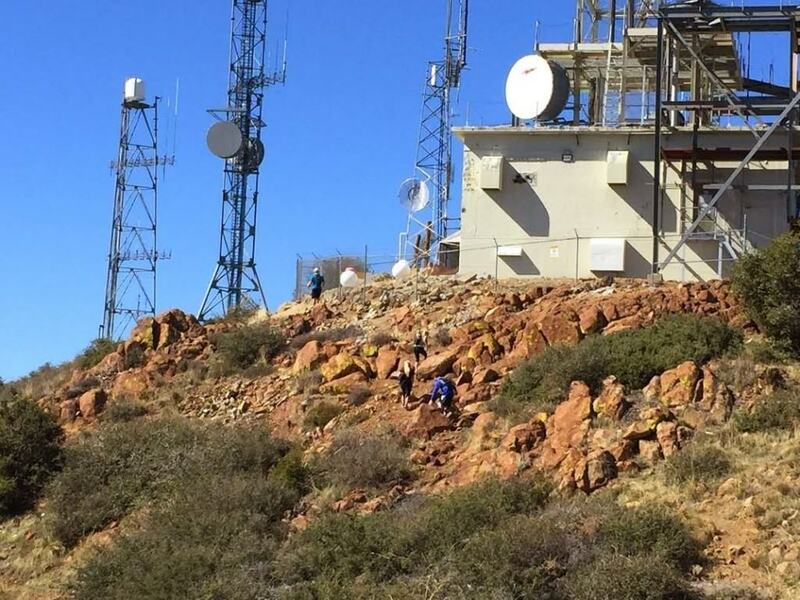 As Saddleback Mountain has been on the Go Hike It team’s bucket list for years, we were thrilled the reach the summit! The views up and down the hike were incredible and the feeling at the top was remarkable. 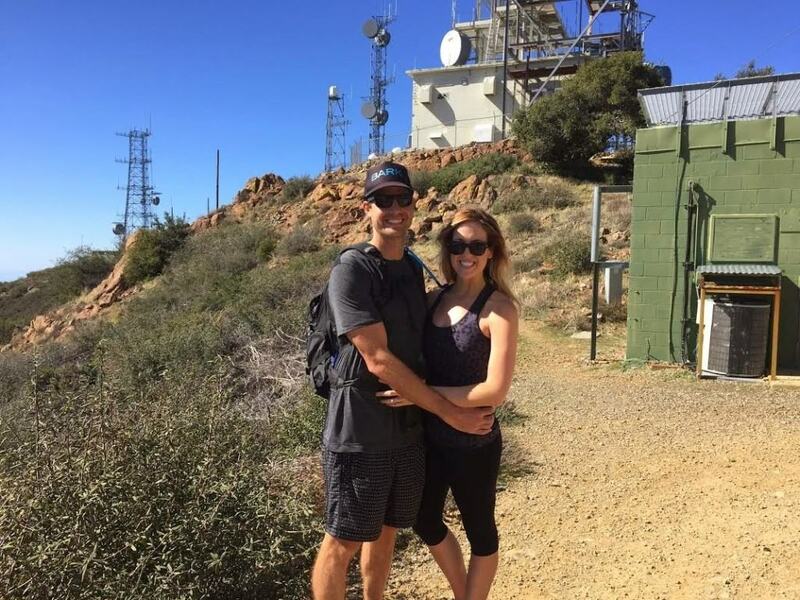 After completing this hike, we have a strong feeling of accomplishment whenever we see Saddleback Mountain driving around in Orange County. 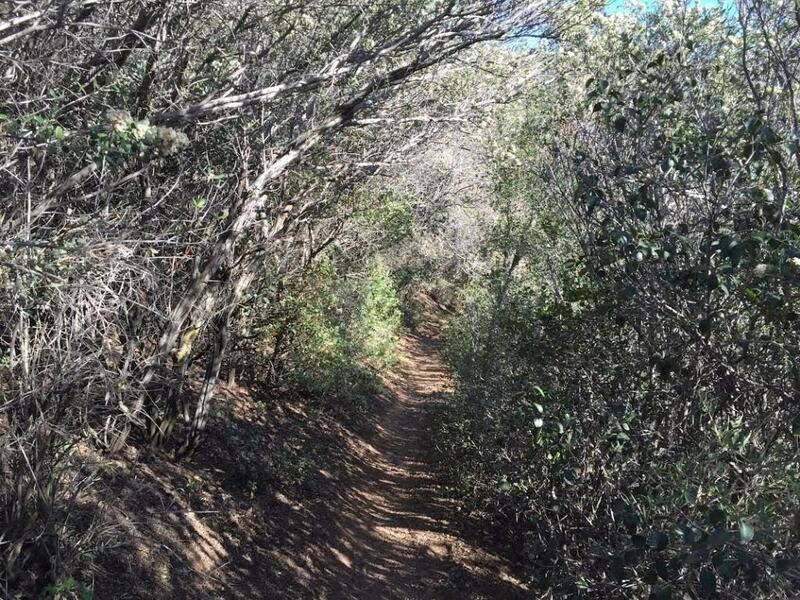 If you are up for an adventure and challenge, the Saddleback Mountain hiking trail is for you! 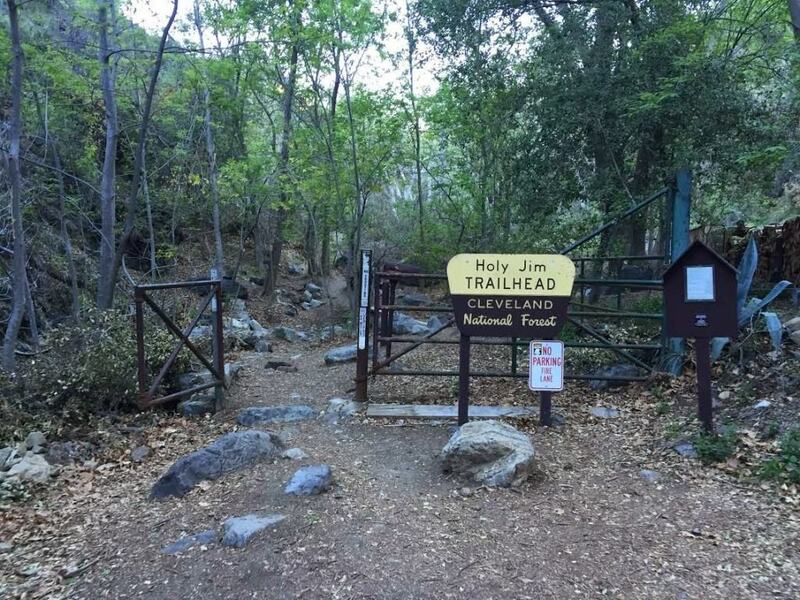 Follow Trabuco Creek Rd to the Holy Jim Falls trail head. A parking area is located shortly after the volunteer fire station on Trabuco Creek Rd. A Forest Adventure Pass is required for parking, because the parking area is located in the Cleveland National Forest. Day Passes are sold for $5 at various retailers. 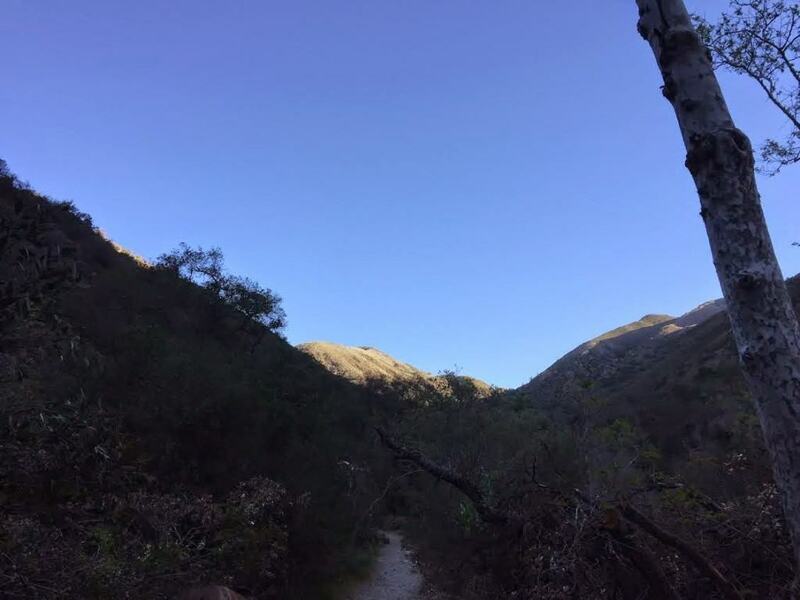 It’s important to start this hike early and give yourself at least 8-10 hours of daylight complete Saddleback Mountain. Although, you may finish it sooner, you don’t want to start this hike too late and run out of light. Additionally, it may be too hot during the summer or cold during the winter months to comfortably accomplish this hike. Go Hike It Team reaches the summit! Go Hike It Saddleback Summit Selfie! 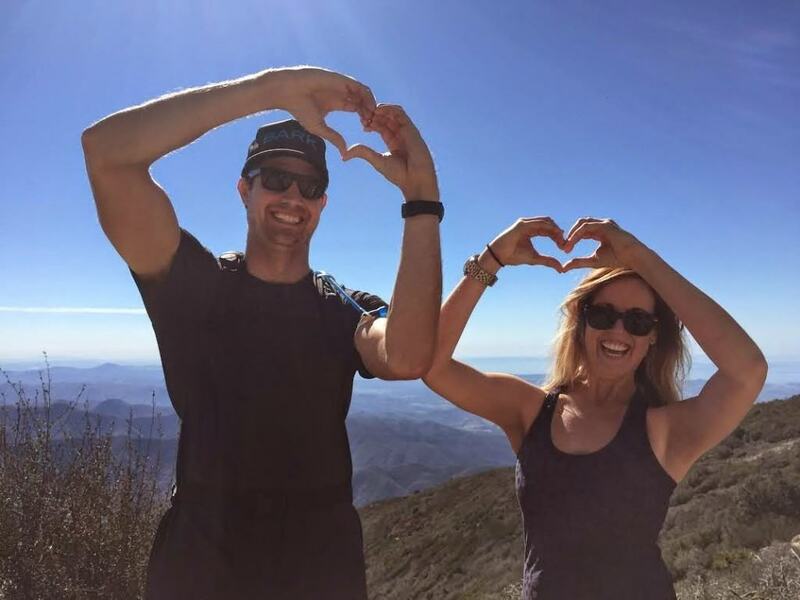 Go Hike It Team sharing the hiking love! 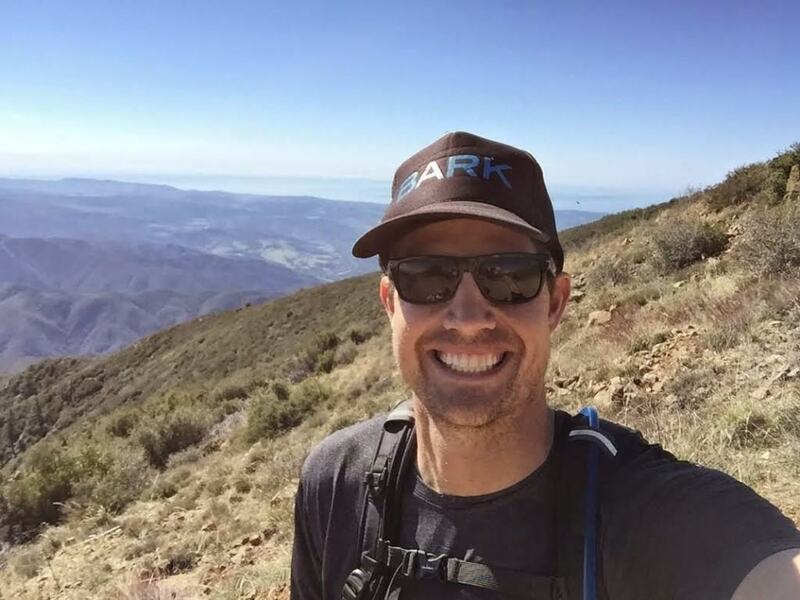 Barry-the-Bear: “I didn’t feel ready to try this hike. I’m currently preparing for this hike, by doing squats & lunges at the gym, and will try the Los Pinos Hike a few times before I attempt Saddleback Mountain. Have you hiked Saddleback? Leave a comment below and share your experience with The Go Hike It community!